The twenty-two year old Clay Beresford (Hayden Christensen) is a genius of finance secretly in love of his mother's secretary Sam Lockwood (Jessica Alba). Clay has a complex, expecting recognition from his mother Lilith Beresford that he is as capable as his father was, and he needs heart transplantation. When Clay finds a donor compatible with his rare blood, he requests his friend Dr. Jack Harper operate him under the protest of his mother that wants the famous Dr. Jonathan Neyer responsible for the procedure. On the eve of his heart surgery, Clay marries Sam and during the surgery, he experiences an "anesthetic awareness" that leaves his conscious but paralyzed. Clay witnesses the dialogs in the room and discovers dark secrets about his surgery. Beresford's Townhouse, 18 East 68th Street and Madison Avenue, Manhattan. otsoNY Comments: The glamous townhouse situated on the upper east side of Manhattan was also used in the remark of The Thomas Crown Affair. 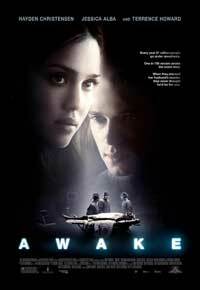 otsoNY Comments: Portions of Awake were filmed on Fordham University's Lincoln Center campus (Lowenstein Hall is converted to look like a hospital; the statue of "St. Peter: Fisher of Men" is visible in the scene). 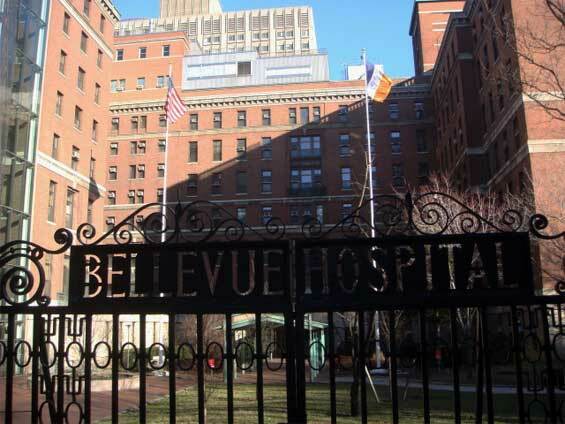 In addition, many scenes, including Dr. Jack Harper's office, the cafeteria where Lilith commits suicide, and the elevator bank, were filmed in Bellevue Hospital. Bellevue Hospital, 462 1st Avenue, Manhattan. Near Manhattan Bridge, East River, Manhattan.